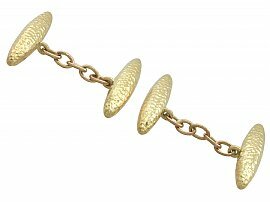 Each link has a torpedo style design, embellished with a planished decoration to the surface. 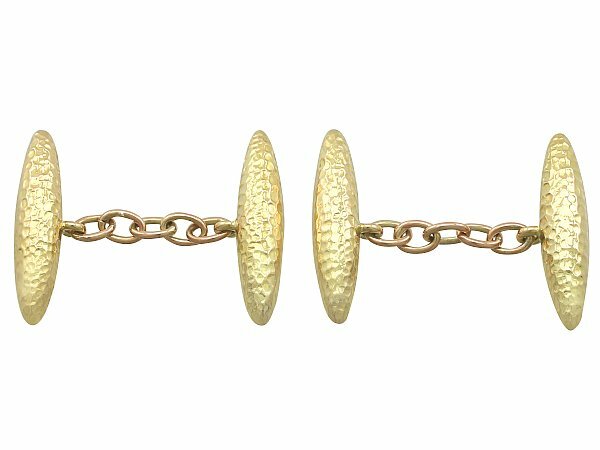 The links articulate via a five link chain and ring loop attachments. 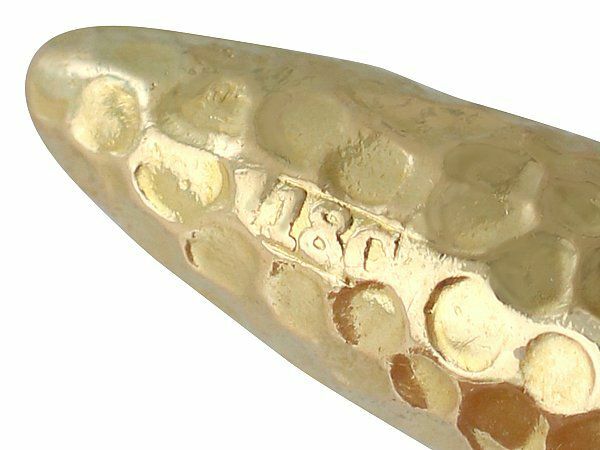 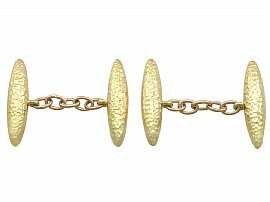 Each link is hallmarked wit the mark for 18 ct gold (18CT) and maker's mark for 'William J Holmes' (WJH). 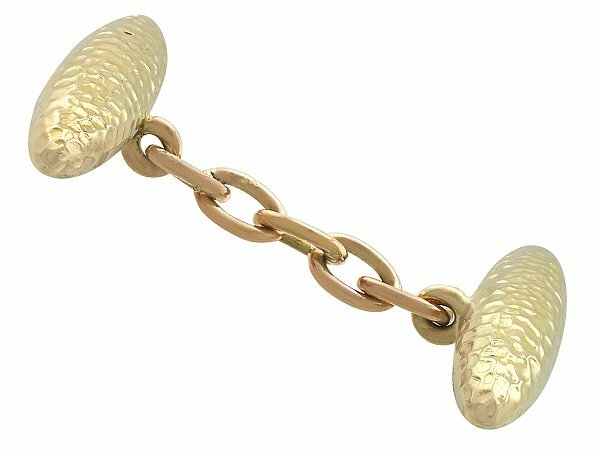 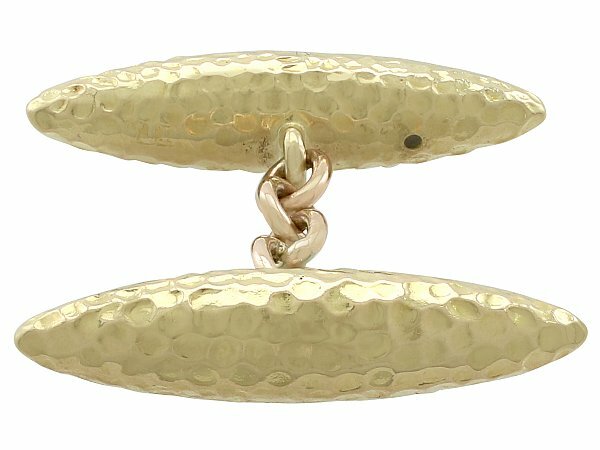 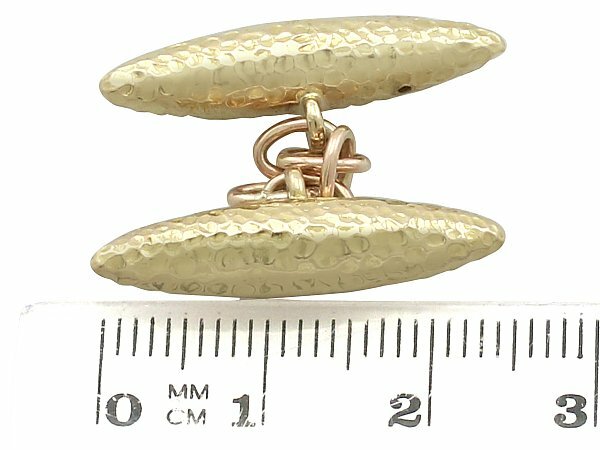 These impressive antique cufflinks are fine quality and a very good gauge of gold. The cufflinks are in excellent condition with partially worn hallmarks, in keeping with age. 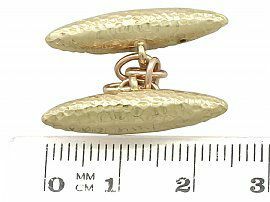 Length of anterior link 2.51cm/1"
Width of anterior link 6.02mm/0.2"
Length of interior link 2.51cm/1"
Width of interior link 6.02mm/0.2"